Brick End: Prehistoric Watering Hole by Senator Chinchilla. Prehistoric Watering Hole by Senator Chinchilla. So I guess I should start off by apologising for the major lack of posting this week. The real answer to that problem is... The Olympics! 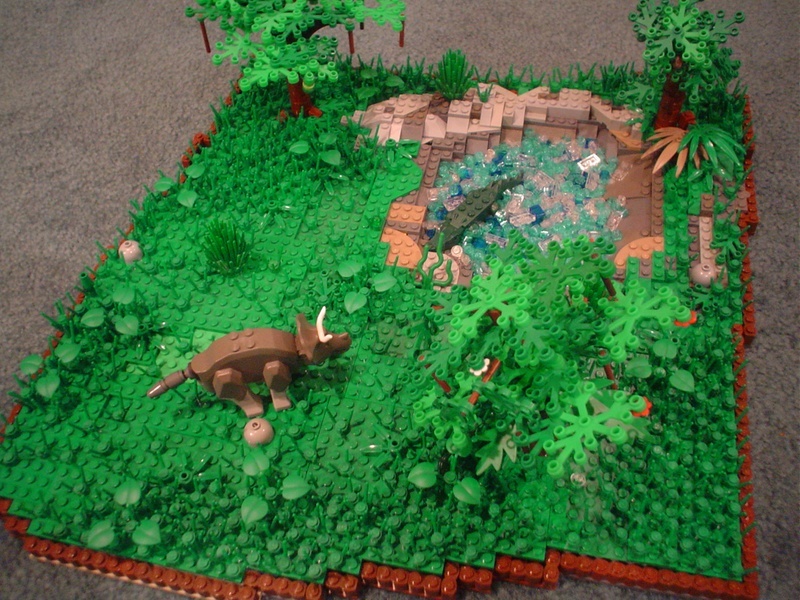 This is a nice little MOC by Chinchilla. The ground isn't amazingly detailed, but it's a pretty good landscaping job nonetheless. Got something you'd like to see on here? Contact us! Dawn Rock Castle by LegoLord. BrickEnd Poll: Last Day to Vote! New Tree Design? by The Timinater ! (Leda Kat =^..^= ) A House For Teddy. The Hornburg at Helm's Deep by Daniel Z "DNL"
Seaside Sanctuary by Adam L.
2011-2013. Made on a Mac. All rights reserved. Brick End is not affiliated with the LEGO® Group. Awesome Inc. theme. Powered by Blogger.